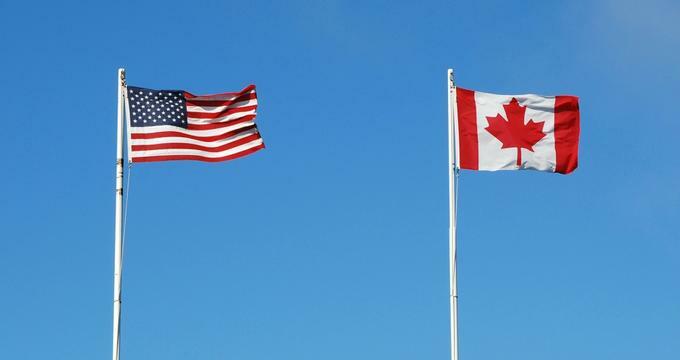 If you’re not entirely sure what to expect when crossing the border between the United States and Canada, it’s worth to take some time to get prepared for it. This is particularly true if this is your first time to do go to Canada by car. In order to help you out, we have compiled a list of helpful tips. Getting caught with the wrong items in your car can get you in a lot of trouble. For example, cannabis is still illegal in Canada as of this writing (April 2018), except for medicinal purposes. This means that if you get caught trying to move it across the border, you can get arrested. This is why it’s a good idea to get informed about what you can and can’t bring to Canada. Of course, it’s needless to say, things like guns are prohibited along with fresh food and plants. Meanwhile, tobacco and alcohol are allowed but only in very specific quantities before they are considered illegal. These are just a few basic examples but there is an extensive list of restrictions that you need to be aware of before attempting to cross the border. If you’re not sure if certain items are allowed, don't hesitate to look it up online. The list of restrictions changes periodically so make sure to always stay up to date with it. Speaking of restrictions, you may want to check and possibly empty your trunk before leaving because you could already be carrying items that might raise suspicion. Border guards are always on the lookout for signs of illegal activity. If you want the process to go quickly and smoothly it’s a good idea to ask all passengers to pass their IDs to the driver beforehand so they can be shown to the border office when the time comes. It’s also wise and polite to turn off radios and even cell phones, as well as removing your sunglasses before reaching the verification booth. Border officers will ask you a series of routine questions upon arriving at the booth. There’s no need to be nervous because these are very simple questions that are strictly related to the purpose and duration of your visit to Canada. For example, you can expect the officers to ask how long you plan to stay in Canada and why you are visiting. They will also want to know the address you’ll be living at, just in case something goes wrong and they need to get in touch with you. Borders officers will want to see and possibly speak to every passenger in the car, not just the driver. It’s a good idea to roll down all the windows beforehand so that the officers can take a good look at everybody in the car and address them if necessary. Illegal activities involving vehicles happen all the time at the border so officials are trained to immediately spot anything suspicious. Show them that you don’t have anything to hide by preparing your car registration beforehand and presenting it to them when asked. You’ve probably done a bit of shopping while you were in the US and may want to bring some things back home with you. That won’t be a problem in most cases but it’s a good idea to keep all receipts regardless just in case you need to show them to the border officers. Canada taxes certain items differently than the US so a lot of people try to cross the border just so they can buy items that are cheaper in the states and then sell them back home. Needless to say, the border officers want to prevent that. Some border crossings are more popular than others. If you want to save some time, make sure to consult the estimated waiting times for the border you are trying to cross. Even better, check out multiple border crossings to see which one would be the best option for you. There are many websites out there that will provide you with this kind of information. Just Google it and you might be able to find a crossing without any traffic. If you’re looking to take your niece or nephew on a little trip across the border you’ll need to make a few preparations. Specifically, you’ll need to have a note written by the parents or the guardians which gives them permission to leave the country. This also applies if you’re with your child but the other parent is not traveling with you. Make sure to get a note from the other parent, which should include the parent’s name along with contact information. Aside from children, anyone visiting Canada must carry with them a form of identification such as a passport. You should know that getting a passport is not that difficult these days. All non-American, as well as non-Canadian citizens, who aren’t permanent residents of this country, are required to have a password on them when crossing the border.